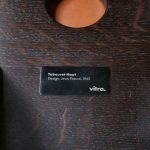 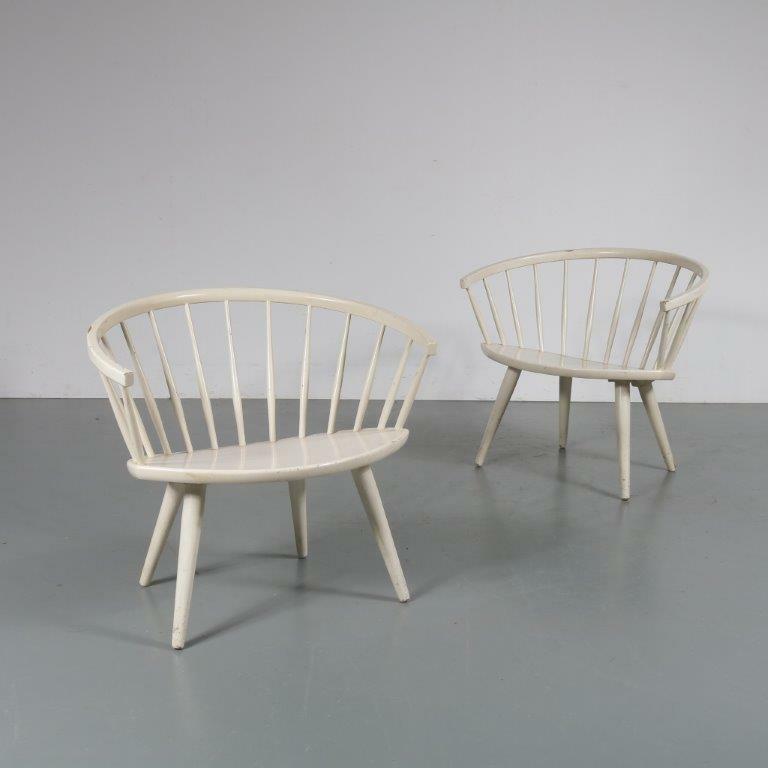 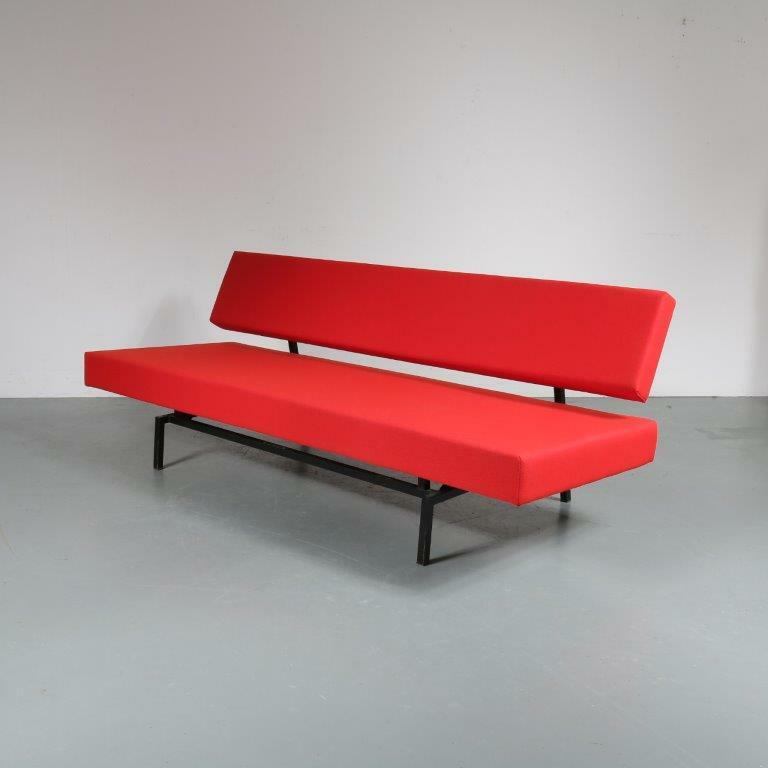 These are iconic pieces of French midcentury design, in a later production by Vitra, and in a beautiful colour! 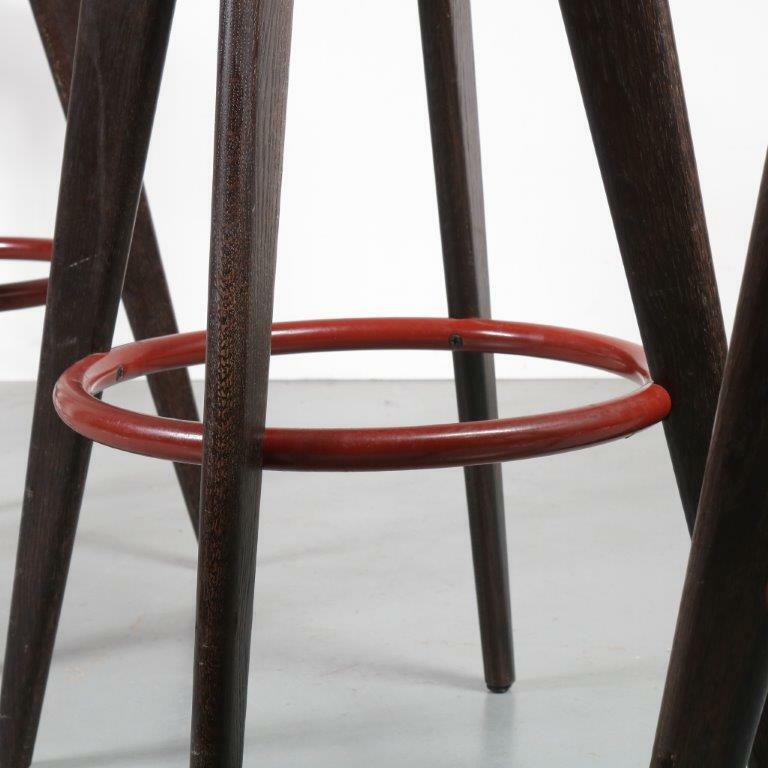 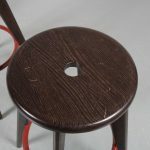 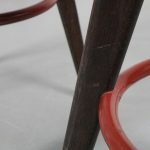 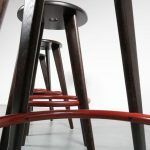 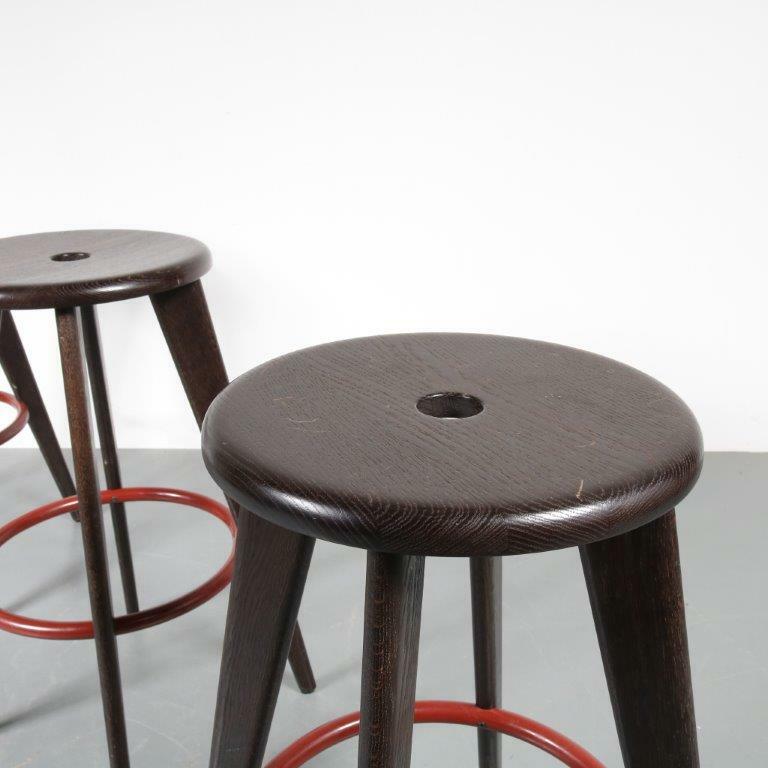 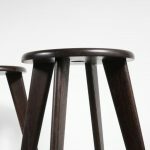 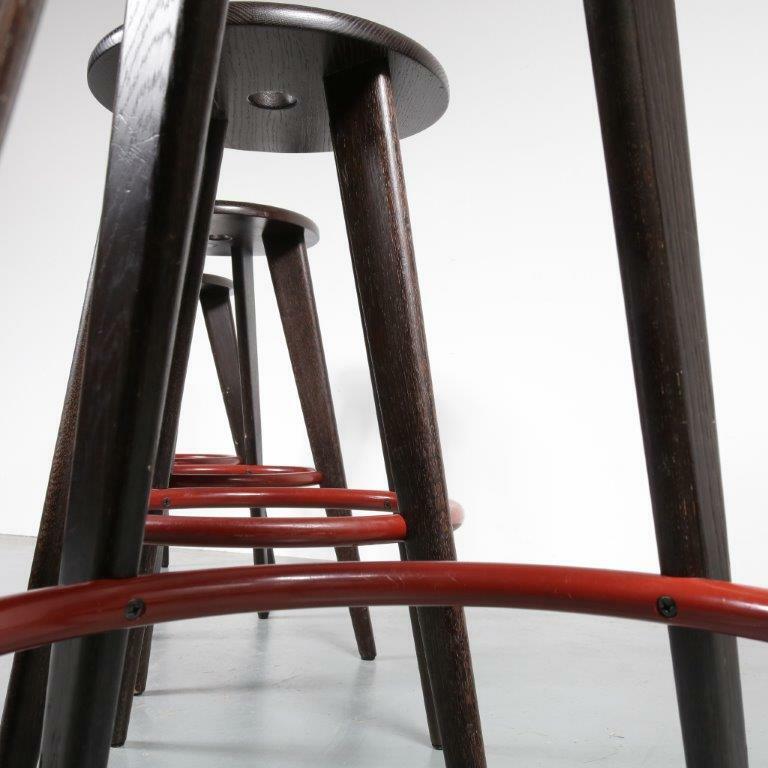 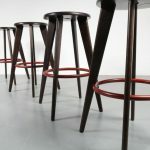 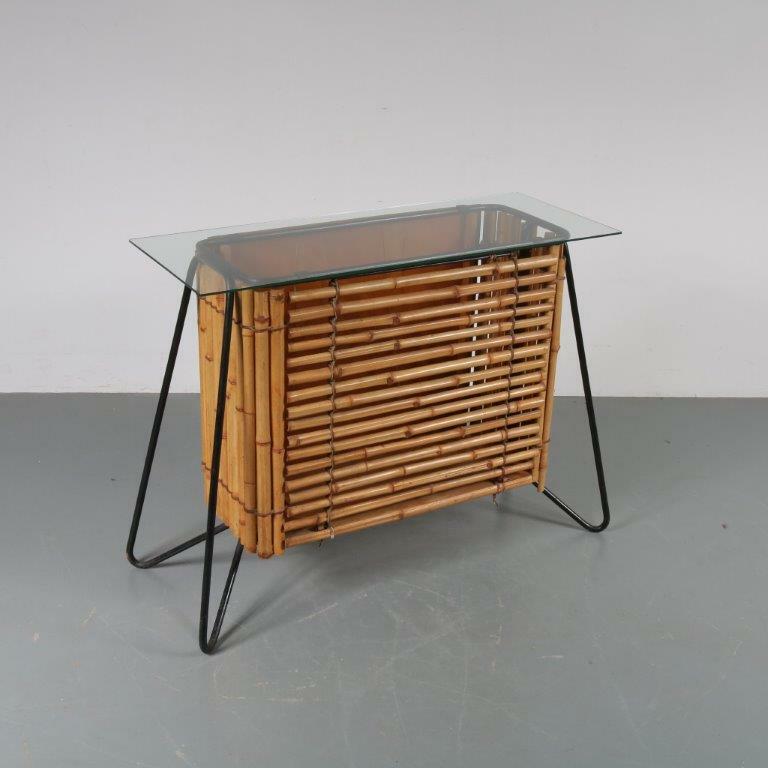 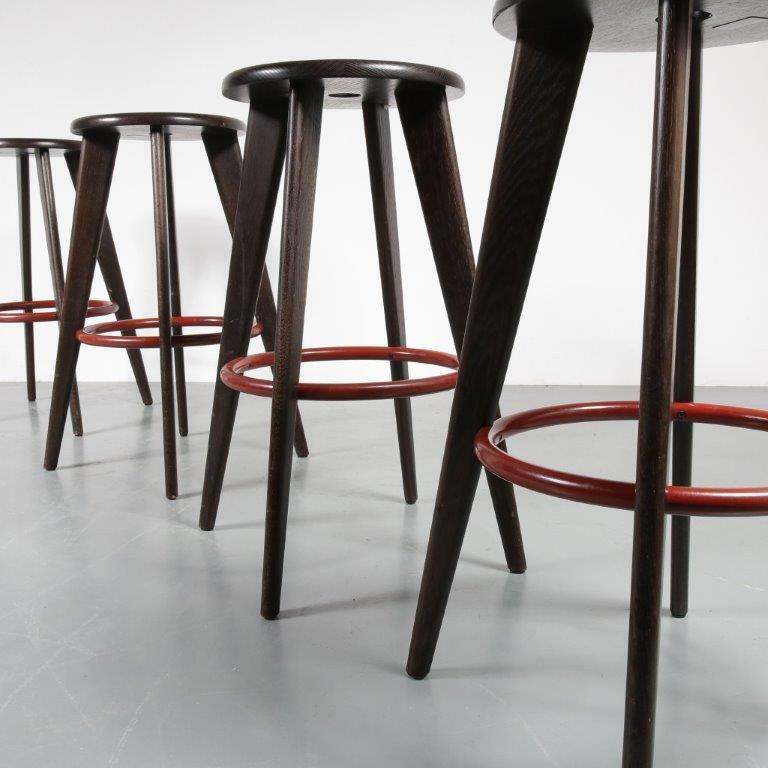 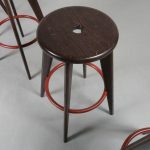 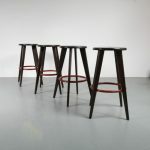 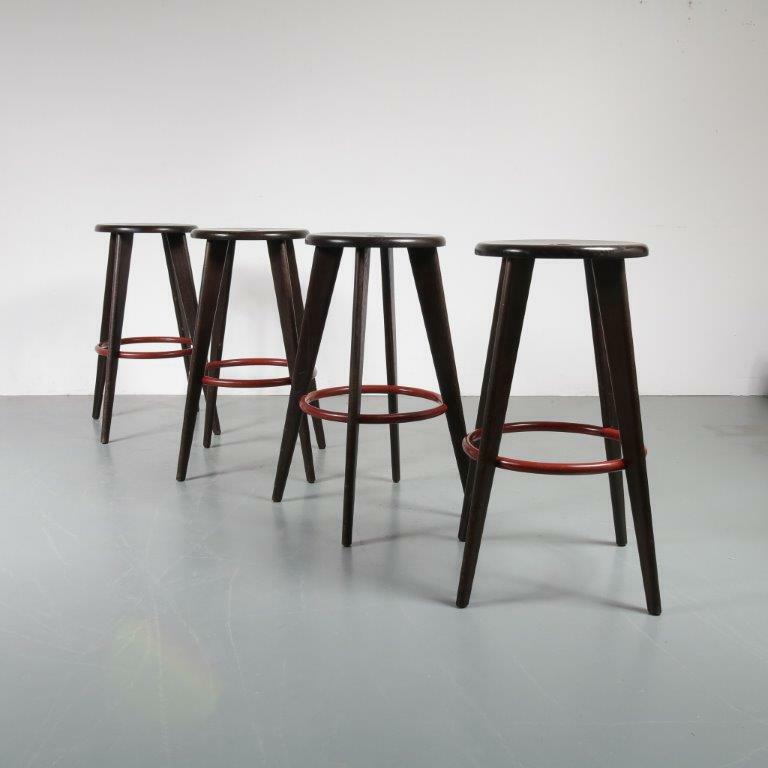 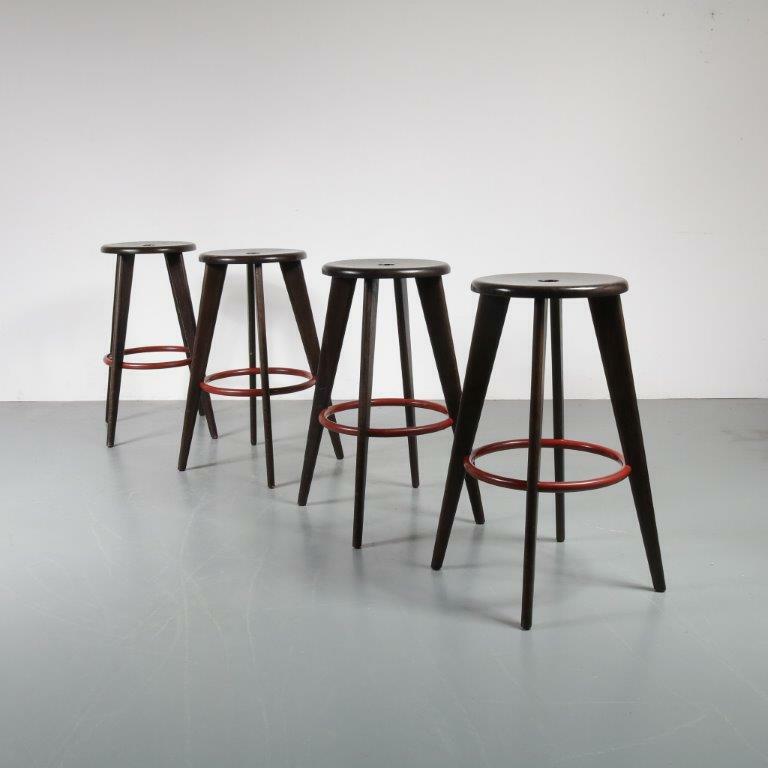 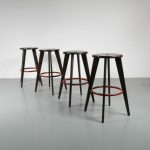 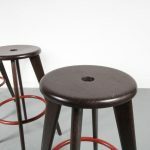 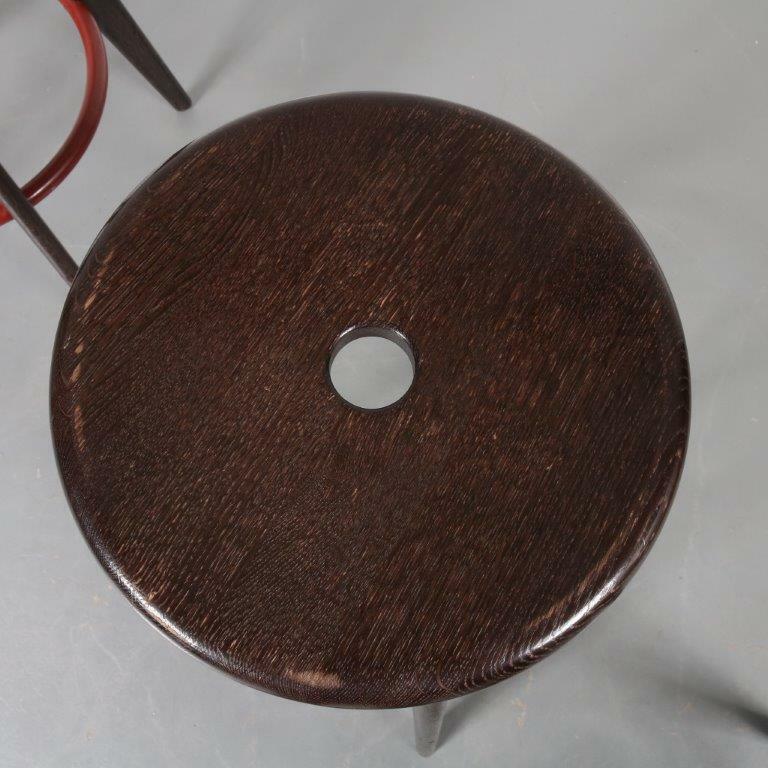 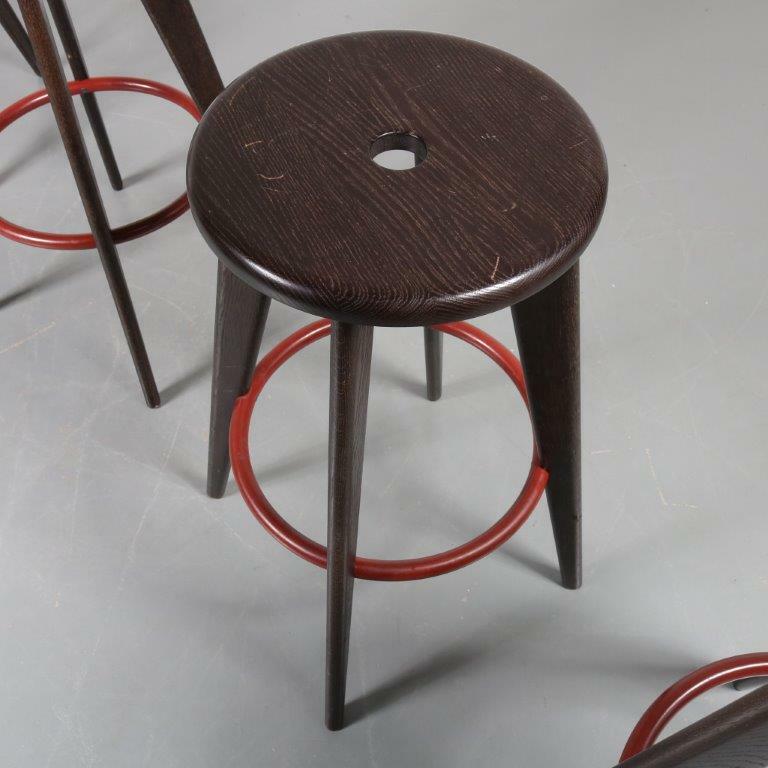 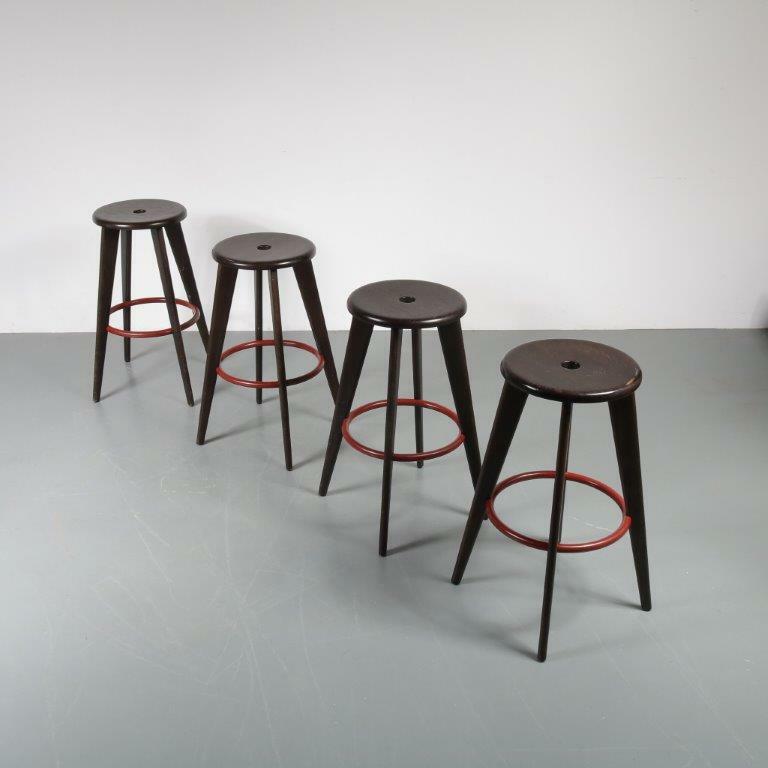 The bar stools, model “Tabouret Haut”, are made o deep brown wood with a red lacquered metal ring. 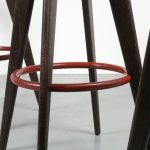 This creates a truly unique style for this highly recognizable piece. 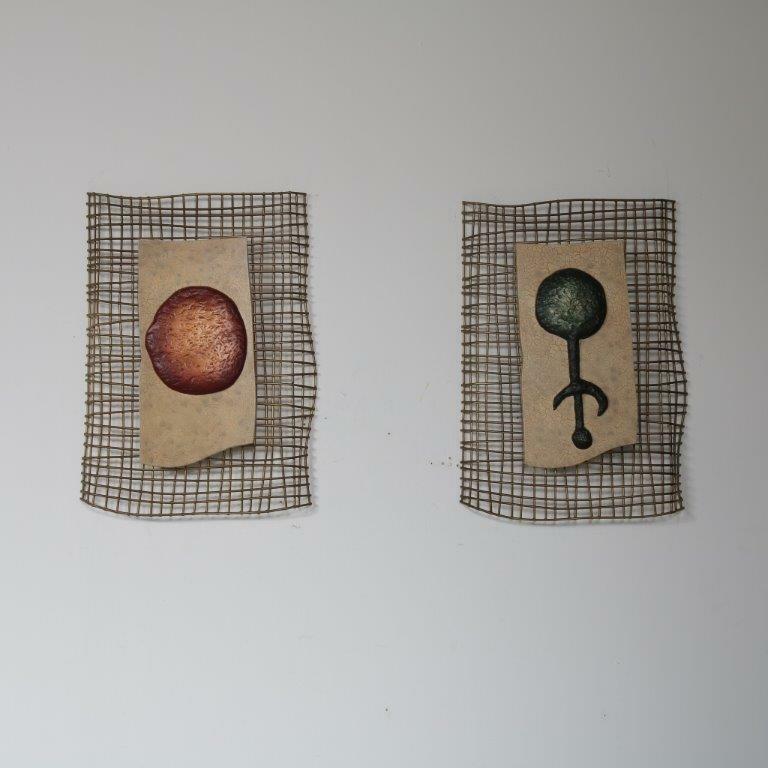 They remain in very good, vintage condition with minor wear consistent with age and use, preserving a beautiful patina. 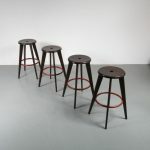 Sold per piece, please check stock quantity.